Yes, you really need 15 feet between your cell booster’s antennas. When new cell booster rules came into play in 2014, they were a bit of a double-edged sword. The rules made it easier for you, the consumer, by letting you buy only complete kits, meaning that the antennas have already been chosen for you. However, this also meant that you need to use those antennas as wisely as possible to make sure that you get the gain that you need. If there’s one rule you should not break, it’s the distance between your cell booster’s outdoor and indoor antennas. You need 15 feet in most cases — either horizontally, vertically or both. That’s the minimum number, and you’ll do even better if you have more separation. If you don’t have that separation, your booster will automatically cut power so that you don’t start feeding back noise and interference into the cell towers. That also means that you won’t get your money’s worth from your booster. If your booster is designed for mobile or small office use, it may come with shorter cables which can be used for maximum power, but most boosters come with 50′ cables which should be used to make sure that your antennas are as far away as possible. Generally, I tell people they should choose the most expensive booster they can afford. There are a few other things to consider however. Do you need a “new” booster? Often times choosing a refurbished booster will let you get a lot better “bang for the buck.” weBoost refurbished boosters are the same quality as the brand new ones. They are often boosters that were returned by customers because the customers bought the wrong thing. They are extensively tested before being sent back out for sale. In most cases they carry a 1-year manufacturer warranty. Do you need a 4G booster? I generally tell people to get boosters that work with 4G and LTE because those are the most important features. LTE not only gives you faster data but in many cases it gives you clearer voice calls. It’s something you probably don’t want to live without. However, if you and your family don’t have a lot of visitors and you are all connected over Wi-Fi, you can save some money by choosing a “3G” booster from weBoost. These are the same boosters but without the 4G capability so they only boost voice. Do you need to go commercial? While I’ve talked above about saving money, here’s a case where you potentially want to spend a little more money. weBoost Home, Drive and Connect series boosters are designed for small office, home office, or home use. If you have a need for better cell service at the office — and who doesn’t — you’ll want a serious system from WilsonPRO. WilsonPRO boosters can handle more connections at the same time and cover more area. That’s important if you’re trying to give great cell service to everyone. 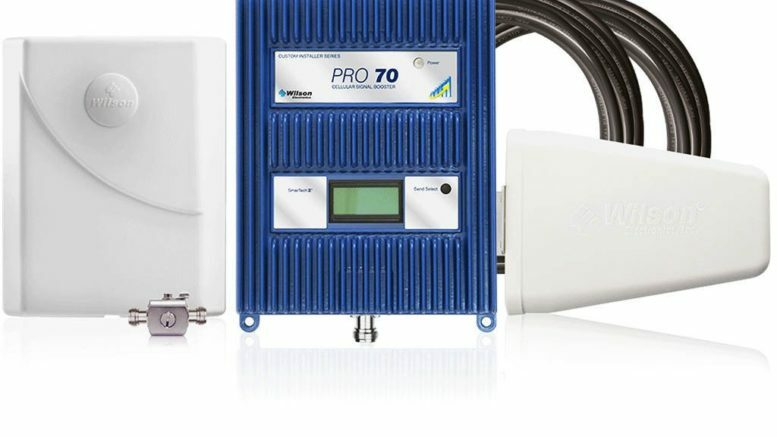 Only Solid Signal can help you with the best selection of cellular signal boosters, free tech support before and after the sale, plus all the help you’ll need planning that installation. Check out solidsignal.com now or call 877.312.4547.